Head of the Lakes United Way works with companies, governments, nonprofits and other organizations in our region to address complex challenges. Our partners contribute more than money. Their ideas, volunteer power, in-kind support and more are helping build a stronger region for all. Head of the Lakes United Way’s service area encompasses the geographical boundaries of Greater Duluth (Duluth, Hermantown, Proctor, Rice Lake, and the townships of Duluth, Solway, Grand Lake, Fredenberg, Gnesen, Normanna, Canosia, Lakewood, and Midway) as well as the North Shore of Minnesota including Lake and Cook counties. 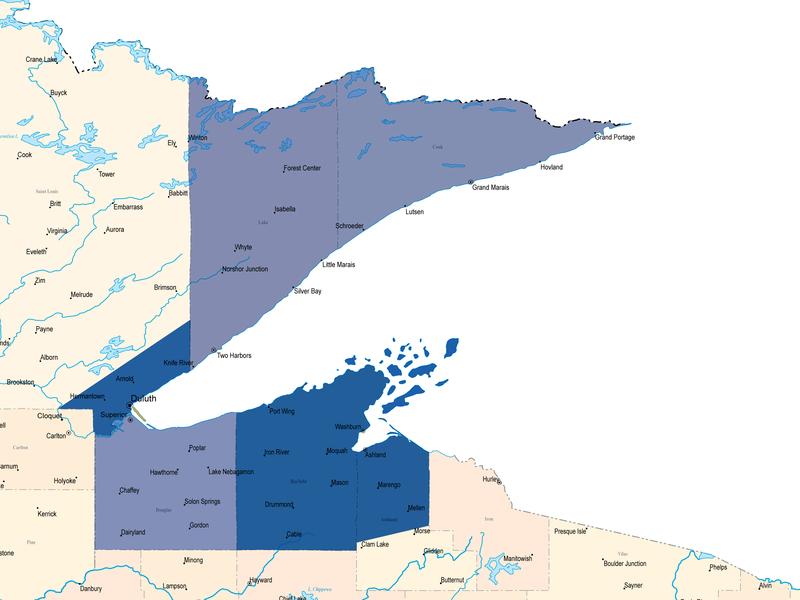 In 2015, as the result of a merger between the United Ways of Superior-Douglas County and Greater Duluth, the area expanded to include Superior-Douglas County as well as Ashland and Bayfield counties. Click here to download PDF version of our area map and list of current agency partners. If the preview of the PDF has errors, save the pdf to your computer and try opening the file directly. If the problem persists, please contact us.